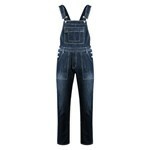 Kam McCarthy Denim Dungarees. 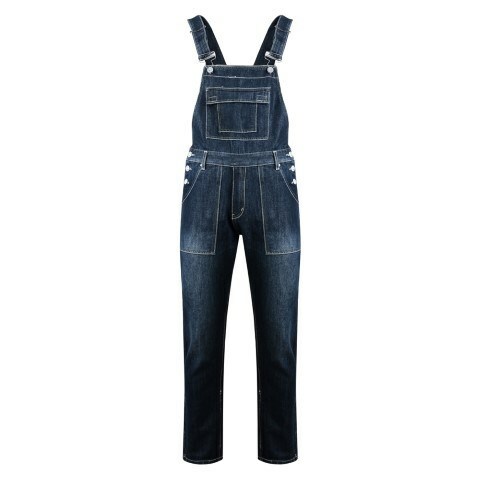 These dungarees have two front pockets, belt loops, two button fastening back pockets and a zip fly, with a 32 inch inside leg measurement. Fastening: Buttoned The bib section has velcro fastening pockets with adjustable shoulder straps with a three button waist fastening. Constructed in a smart fashion mix of 65% Cotton and 35% Polyester. 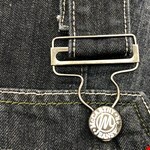 Great fashion item for the big man.